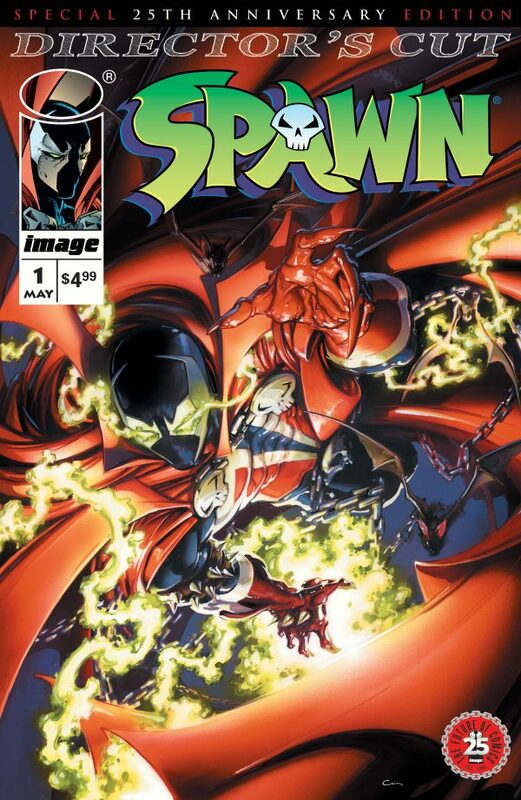 The inaugural issue of SPAWN began the saga of Al Simmons who was once the U.S. government’s greatest soldier and most effective assassin. 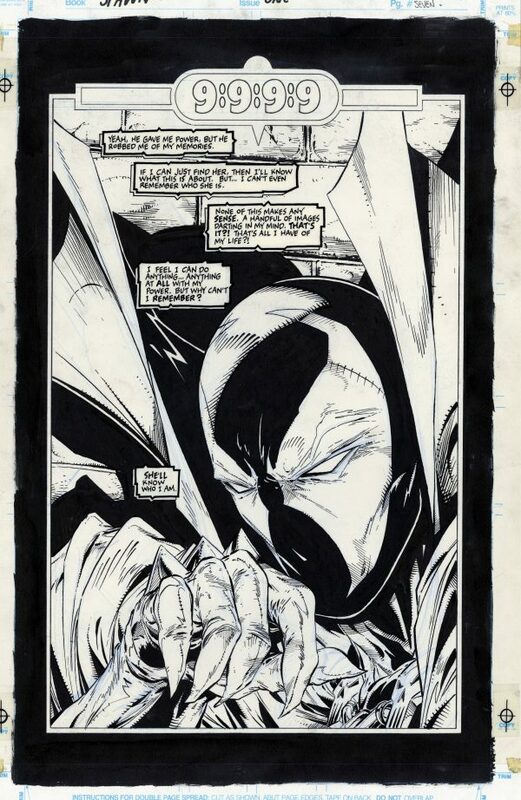 Mercilessly executed by his own men, Simmons was resurrected from the ashes of his own grave in a flawed agreement with the powers of darkness, he was reborn as a creature from the depths of Hell. 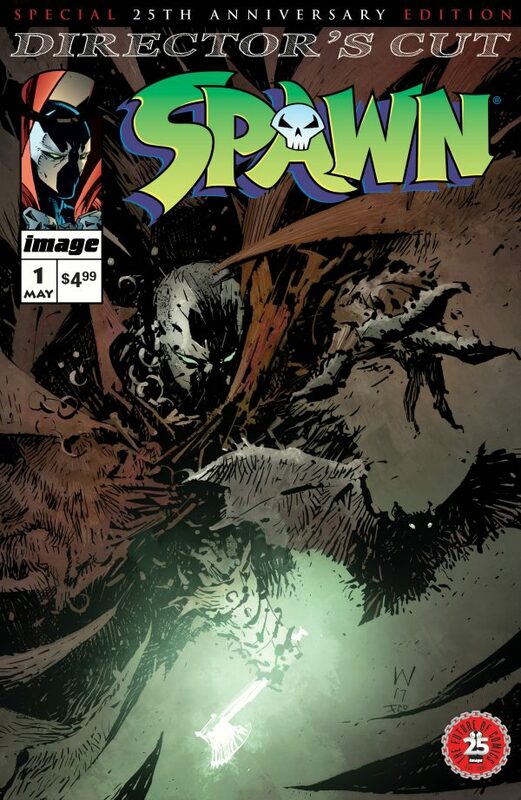 Now Al Simmons is locked on Earth fighting the evil that is locked with him. Unable to save the love of his life, Wanda, he makes it his mission to save her daughter, Cyan. 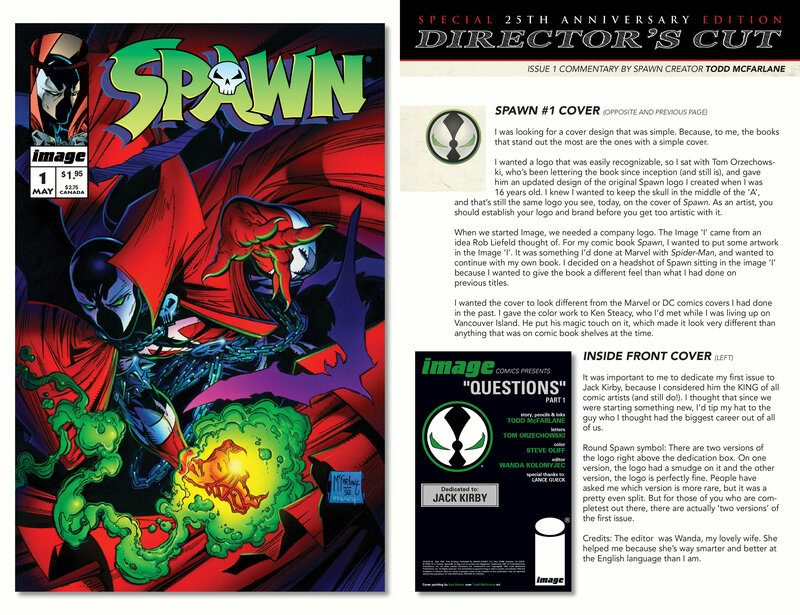 The SPAWN #1 25th Anniversary Director’s Cut will feature original art board pages from Spawn issue #1, with three cover variations, showcasing art from McFarlane, Ashley Wood, and Clayton Crain. 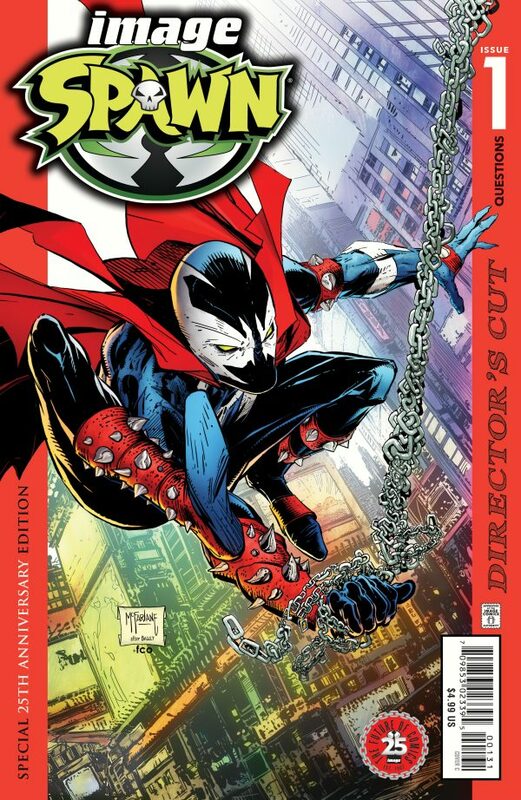 This special anniversary edition hits comic stores on Wednesday, May 17th, and will have a retail price of $4.99.